Come join Sortingitout! 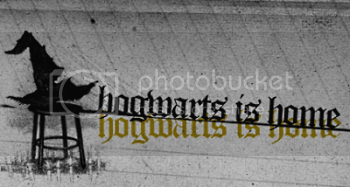 We are a fairly new but still active Hogwarts sorting community on LJ. Every quarter we have new contests, events, and discussions. Participation in these exploits helps your house in the competition for the House Cup. After being successfully sorted, you can participate in your common room and meet other people like you. You can also mingle with other houses in the Great Hall. Unlike some communities, we aren’t pretentious, elitist, or ageist; your sorting will be accurate and fair. So come fill out an application, find out where you belong! 7:57PM - Harry Potter LIMS community!!! We're a brand new rpg, but with experienced mods. Come and join the fun! We are looking for most main characters including Harry Potter so come and snap up your favourites. What is Hogwarts is Home? We are a sorting community to the extreme! We aren't just a sorting community, we are a full fledged community with plenty of activities, challenges, and fun things to do. There is something for everyone at Hogwarts is Home. 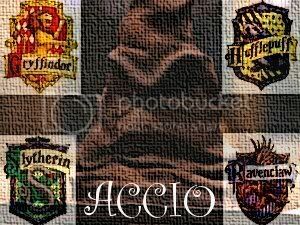 There are plenty of clubs that are based off of classrooms in Hogwarts such as DADA, Potions, Transfigurations, and others like Art Club and Shutterbug Club. Check out hh_clubs to see for yourself. But that's not all there is at the community, there are communities for writers, graphically inclined, night owls, and potential animagus. And who am I? I'm from the Order, over at hh_order. Interested in finding out where you belong and being a member of this great community? Head on over to platform_934 and fill out an application as thoroughly as possible to get sorted into the house you belong in, and don't forget to tell them an order member sent you! At Hogwarts, you can all find a home. Within our walls lie the noble houses of Gryffindor, Hufflepuff, Ravenclaw, and Slytherin. Where do you belong? Get sorted and find out. Each house competes to earn house points, and knuts for themselves. Students at hogwartsishome participate in debates, in-house contests, Hogsmeade Weekend parties, and many clubs. We even have a Qudditch team!!! 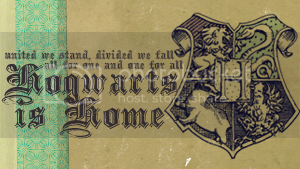 If you would like to join in the fun and make new friends at hogwartsishome, you may visit platform_934 to be sorted into your new house, and home. We are only one month into our new term, so now is a great time to head over to platform_934 to get sorted, settled and earn points for your house!!!. On your application, be sure to tell them a Member of the Order sent you!! 11:50PM - The Fall Term Just Began!! 7:14PM - Hogwarts Sorting Community FTW! Welcome one and all to potter_lays, a new Hogwarts fic writing community for the adult crowd. We just opened and are looking for active members. 10:39PM - DEATHLY HALLOWS RELEASE PARTY IN BRISBANE!! Are you a Harry Potter fan living in or around the Brisbane (Australia) area? Or do you know someone who is? Then listen here! I am trying to organise a release party for the seventh and final book, Harry Potter and the Deathly Hallows. If you are interested in any way please reply to this post. And spread the word! This is the last book, so we have to go nuts!! 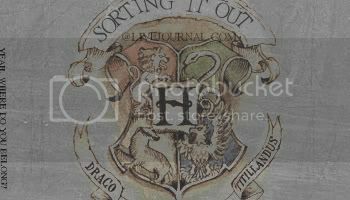 Welcome to sortingitout, a new Hogwarts sorting community that recently had its official opening. Fill out an application and get sorted into one of the four Hogwarts houses. Once you are successfully sorted, you will gain access to your common room and the Great Hall. You will also be able to participate in the House Cup. Since we are a relatively new community, we are still looking for many active members. We hope that it'll be a fun experience to all and look forward to seeing your application. Click for rules and more information. I read this comic online called CANDI and it's pretty good. A couple of the strips a lil ways back in the comic (I'm catching up) have a funny HP mention I thought you guys might enjoy Here and Here. 7:24PM - The Premier New Sorting Community!!! Since we are a new community, we are still looking for many active members and a Gryffindor Head. We hope that it'll be a fun experience to all and look forward to seeing your application. Are you looking for a fun and friendly sorting community? Do you want to take part in a community that is easy-going and not too terribly difficult? Do you find yourself wanting to find out what your animagus and patronus would be? Take classes? Play Quidditch? Then come on over and apply at acciosortinghat ! Read the user info, check out our short list of rules and post your application! We can't wait to sort you! Also, check out our affiliates! hybrid_elite - Its not your normal sorting community! Instead of four houses you are sorted into a two-house hybrid to better fit your personality. marauders_life - Love the characters JKR has created? Wish you were one of them? Well this is the place to RP as a character from the marauders' era! 11:59PM - New Sorting Community!!! 5:48AM - tidbit i noticed while rereading PS/SS, thought you'd like to know! I'm sure many of you noticed, as I have, how many annoying tidbits the movies added/left out in our beloved HP series that we've all nitpicked again and again. While I don't think this is anything too important to the series and most likely just an oops in the book,.. I noticed this while beginning my reread of the series before DH comes out next July... I'm reading the English version btw. Pages 290 and 291. I just thought you might all find that lil tidbit interesting at least. It struck me as I was reading it that even Snape wouldn't say his name in the series. Yet, Quirrel does it twice in a short minute timespan. 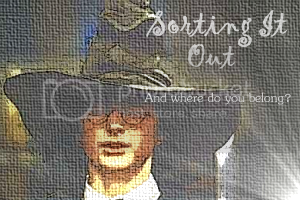 Welcome to sortingitout, a new Hogwarts sorting community that just had its official opening today. Fill out an application and get sorted into one of the four Hogwarts houses. Once you are successfully sorted, you will gain access to your common room and the Great Hall. You will also be able to participate in the House Cup.